Hey there! I’ve got good news for any fans of death metal or stoner metal, or especially, for those who like both genres equally! 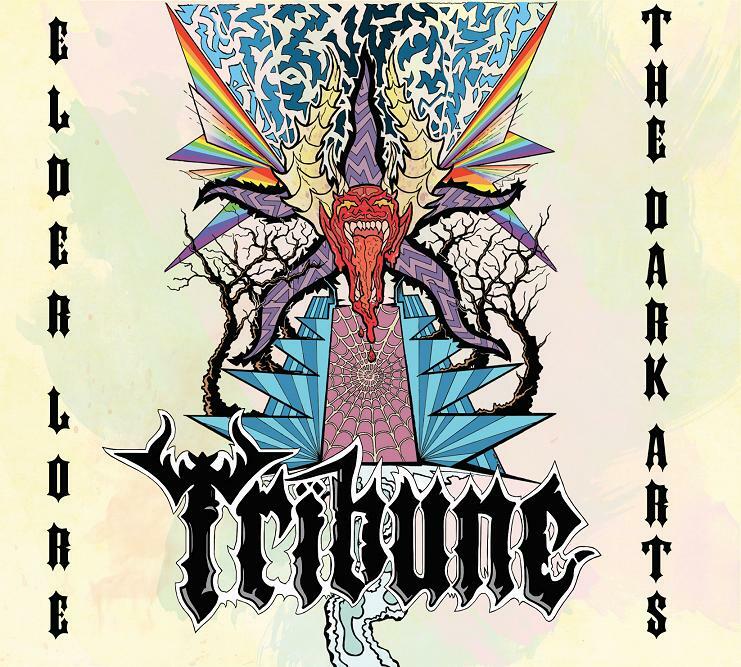 British Columbians Tribune, whom I designated as “stoner/death metal” in my review of their recent double-EP album, Elder Lore/The Dark Arts, have announced that you can download one of the songs from that release for FREE! Even better, the song in question (“Man on the Outside”) is one of the catchiest and most memorable — and in this reviewer’s opinion, one of the best — from the album. Whenever I discover a new band, I usually try to learn as much as I can about them, including where they come from. If it’s a country or a city I’m not especially familiar with, occasionally I’ll hit Wikipedia and see if there are any interesting facts to be learned there. Maybe I’m just a major dork, I don’t know. Whatever. Sometimes I like to look at a map of where a band comes from, just to see where it is in relation to things I do know about. This is how I discovered that the city of Burnaby, British Columbia, is right next to Vancouver, near the Pacific coast and just above the U.S./Canada border. Playing with the settings a bit, I found myself looking at a topographic map of that general area. In this way, I found that Burnaby is surrounded by a few lakes, and most of the land seems to be pretty close to sea level anyway. From that I would surmise that there just might be a good bit of swamps or marshlands near that area. Now, I wasn’t just randomly seeking out information on the geographic characteristics of various cities in Canada. No, I was learning about Burnaby because it’s home to the band Tribune*, to whose recently-released double-EP Elder Lore / The Dark Arts I had just been listening. The blend of riffs and vocals they incorporate into their particular version of death metal might give you the impression that they come from the same backwater bayou country as Down or Crowbar, rather than the frozen tundra of British Columbia, which is what set me on that particular path of research. But anyway, hometown notwithstanding, these guys have put together a combination of styles that I’ve decided to call stoner/death metal. You just need to check it out to see what I mean. * By the way — I don’t know if it’s a Canadian thing or what, but I’ve learned that the band’s name is pronounced differently than I originally thought. It’s actually supposed to be “TRY-bune” (as in “tribunal”), rather than “TRIB-une” (as in “tribute”).